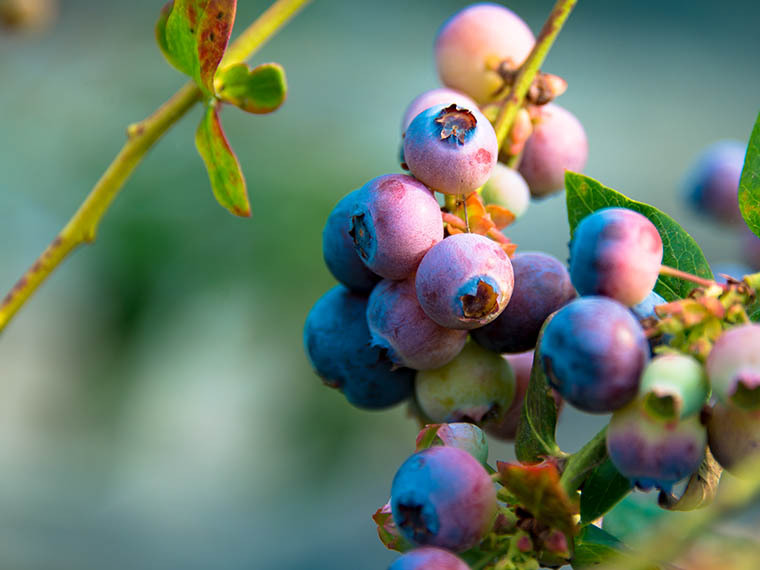 Timing is everything and for blueberry growers, the ability to harvest high-value fruit in the off season could reap financial rewards. 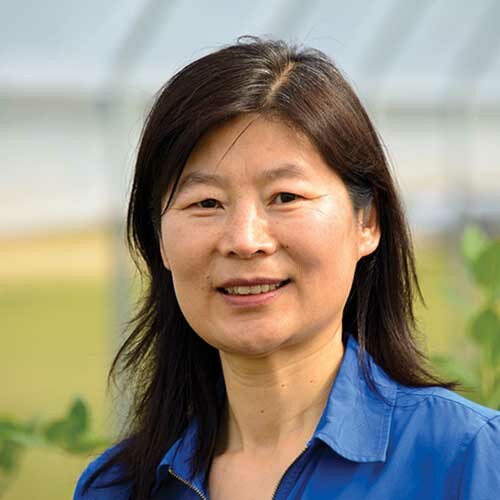 Dr. Guihong Bi, plant and soil sciences research professor in the Mississippi Agricultural and Forestry Experiment Station, is currently evaluating organic and conventional blueberries grown in high tunnels. Those first fruits bear a premium price at market. There are 2,500 acres of blueberries in Mississippi that generate $8 million dollars annually. Production typically occurs south of Interstate 20 because of colder winters in the northern half of the state. Additionally, growers who go to market during the typical summer months don’t get a premium for their crop. 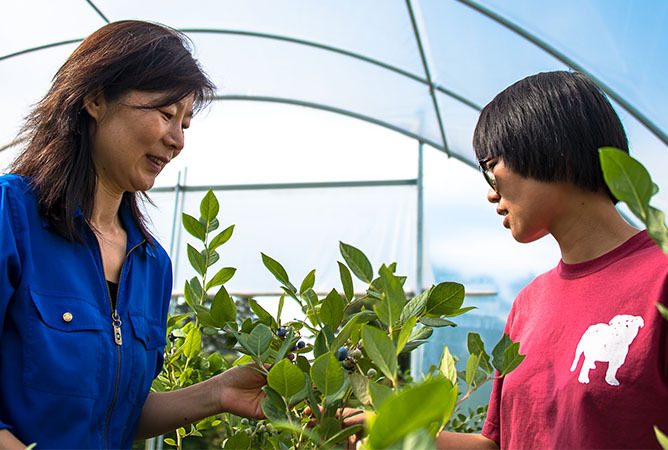 Bi and Dr. Tongyin Li, plant and soil sciences assistant professor and MAFES scientist, are evaluating characteristics of several varieties of blueberries. Judson LeCompte, research associate and doctoral student, assists on the project as well. “We are evaluating early fruiting cultivars. We are studying how they perform in the high tunnel and how much earlier they can produce berries,” Bi said. The team is comparing organic and conventional production of ten early ripening cultivars. They are assessing the yield and the quality of each cultivar and chemically analyzing the fruit for antioxidant content. Bi said high tunnel production could also expand the geographic footprint of commercial blueberries in Mississippi. The university’s first high tunnels were constructed at the Truck Crops Experiment Station in Crystal Springs, Mississippi. 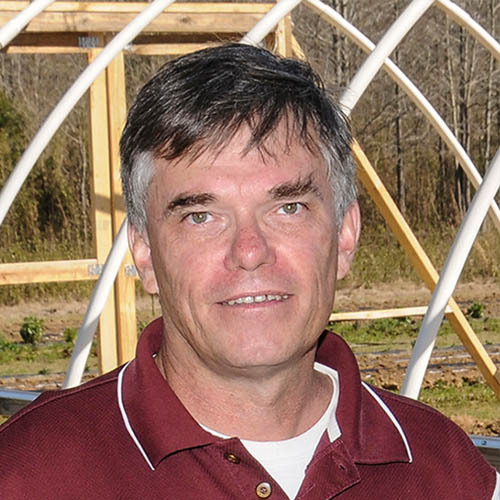 Dr. William Evans, plant and soil sciences associate research professor in the Mississippi Agricultural and Forestry Experiment Station, oversees the seven high tunnels currently on the station. “Three tunnels are dedicated solely to organic research and four tunnels are used for conventional plant research,” Evans said. He said the adoption of high tunnels has increased among growers over the last few years. Evans has grown everything from tomatoes to eggplants to zinnias in the high tunnels. He has evaluated planting dates, irrigation, and pests. Evans said high-value crops are the best use of high tunnels. The USDA National Resources Conservation Service provides EQIP funds for qualified commercial growers interested in installing high tunnels. To apply for funding, contact the NRCS office serving your county. Passion At Work: I am passionate about helping specialty crop producers improve production efficiency and profitability while maintaining environmental sustainability. Passion At Work: I am passionate about serving our growers and horticultural science in practical ways while learning new things every day.